Are you looking to transform your basement into a mortgage helper or an in-law suite? Maybe you have a loved one, like an aging parent, that you’d like to have closer or need to care for? Maybe you just want to take that empty boring space and finally turn it into something useful? Most people would agree that a basement suite providing a little extra income or better family living arrangements would be a good thing. In this day and age in-law suites in basements are a very common project but they aren’t something you just slap together in a few days. 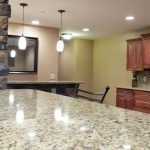 A good liveable basement suite takes some careful planning and knowledge of construction and local building codes that might pertain to your specific structure. If your new in-law suite is being constructed for an aging parent or loved one with mobilty problems then safety should be paramount. Stair configurations might need to be looked at or even the installation of a lift is becoming more popular. Assuming there will be a bathroom in your basement you want to make sure that the bathroom is a safe-space too. The installation of railings and grab bars and the construction of a barrier free (easy entry) shower are also options to consider that can improve safety and living conditions. Try and avoid sharp corners on countertops and vanities wherever possible. Considering this new space is going to be a “liveable” space you’ll need to make sure egress codes are followed (exit requirements). 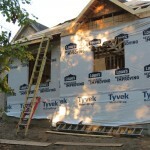 This can raise the cost of a basement suite conversion by several thousand dollars if egress windows need to be installed into the basement bedrooms. What About Basement Suite Privacy? Privacy is always high on the list for renters looking for a place to call home and it’s also going to be important to a loved-one should they be living in your new suite. Unless the basement is a walk-out basement it’s usually more difficult to have a separate entrance and could require expensive foundation work, but private entry/exit is always important. Do you have room for another vehicle in your driveway should your new renter have a vehicle? What about windows? Do you look straight into the basement suite bedroom while you enjoy your backyard? What about noise? Do you have kids stomping and yelling on the upper floor? Do you think this will disturb a tenant? Just as some common examples. Privacy and how best to achieve it with your specific property and home layout is something you’ll want to plan early in the phases of your basement suite conversion. If you plan on getting a renter for your space you’ll want them to have their own kitchen, eating area, and living space for both of your own privacy. If it’s a loved one that is moving into your suite then they will probably want to have the independence. Whether you have a full-kitchen or just a kitchenette will depend on the available space you have and your budget. Getting much usable living “space” in a basement suite can be tough because it depends on the size of your home but it would be nice for a tenant or in-law to have some space to be able to relax and enjoy some TV or a hobby or entertain company. What About Your Basement Lighting? If your basement has many windows and allows in plenty of natural light then it can be a very comfortable for someone to live. If it’s dark and dreary and you only see the sun when you walk outside, it’s not going to be a very enjoyable place to live. Natural light can be substituted to an extent by using good quality light fixtures and bulbs and making sure they are placed properly throughout the basement. Poor lighting in a basement is a safety issue that is easy to overcome with a little thought (and unfortunately some extra money!). Have You Heard Of Universal or Accessible Design? This is a growing trend in the home remodeling industry, especially with an aging population of baby boomers. Universal or accessible design is the practice of making specific spaces such as bathrooms and kitchens that are easily accessible by anyone regardless of their age or mobility. An example of universal or accessible design would be a barrier free shower. Because the shower has no curb, anyone (even someone in a wheelchair) can safely use the shower. Another example would be easily accessible cupboards or cabinets. Special drawer or cupboard inserts and shelving that make things easy to reach. There “jumbo” light switches available and thermostats that make it easy for people with shaky hands or poor eyesight, and the list goes on. Involving a good contractor early in the planning phases of your basement remodeling project will help you with many of these decisions. Your contractor will know about products and building practices to improve the accessibility of your new basement space. 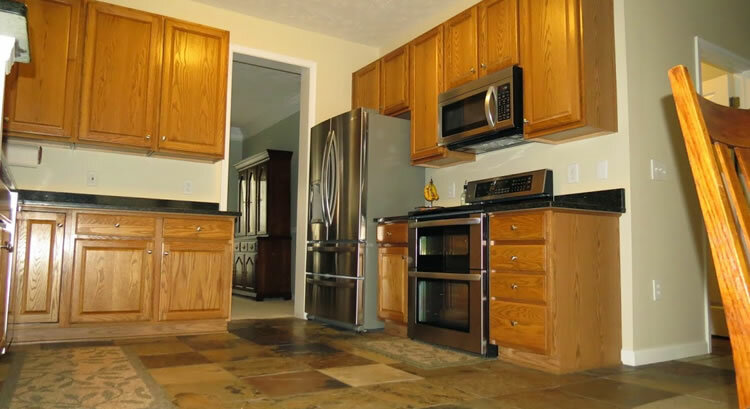 Why Choose Ohio Home Doctor For Your Basement Suite Construction Project? 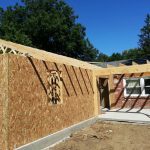 When you choose to work with the Ohio Home Doctor for your basement suite construction project you are partnering with a contractor with over 18 years of experience in the basement remodeling industry. You can count on our team to listen to your needs, answer all of your questions, and offer helpful advice to help guide your project along to the finished masterpiece we know you’re after. We offer fixed-pricing on our estimates, we stick to rigid timelines and we can come up with basement finishing solutions for almost any budget. Whether you’d like to transform your basement into a totally “liveable” space for a tenant or an in-law or loved one, we can make sure it’s a beautiful, safe, modern space for them to call home. If you’d like an estimate for your basement suite project in the Dayton, Springboro or Cincinnati area please give us a call (937) 605-6882 or fill out our contact form and someone will be getting right back to you shortly.